← Daily Strawberry pickings down on the urban farm. 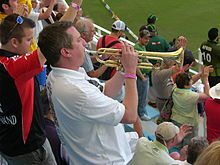 Billy The Trumpet gets one match Ban! 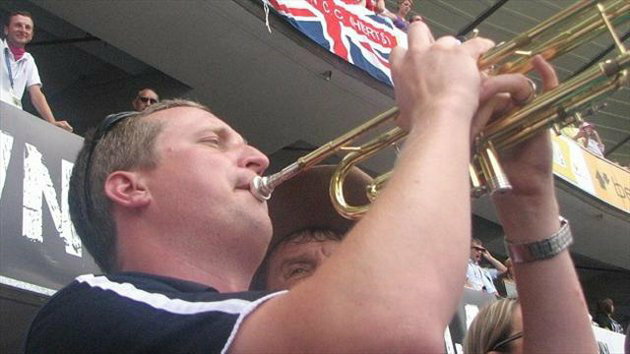 England’s cricketers are going into bat for one of their principal cheerleaders, after it emerged ‘Billy the Trumpet’ is set to be banned from playing in the first Ashes Test at Trent Bridge. Kevin Pietersen described the apparent decision as a “DISGRACE”, after Matt Prior had made it clear he and his team-mates all want to hear trumpeter Billy Cooper – a mainstay of England’s support home and away as part of the ‘Barmy Army’ – to be allowed to play in Nottingham. 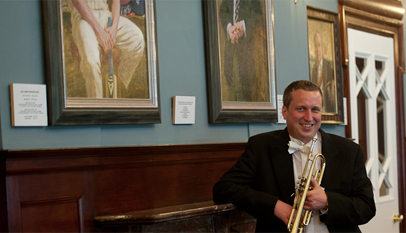 His appropriate bursts of tune have accompanied England Test campaigns all over the world in recent years, notably during the historic 2010-11 Ashes triumph Down Under. Yet with England only four days away from starting their bid to retain the urn and win the Ashes for a third successive time, Cooper himself on Friday night alerted the world to the fact he will be unable to lend his musical support in the first Test. “Just to clarify that @TrentBridge have said I can’t play at the 1st test. Disappointed. Gutted,” he wrote as @billbarmytrump. Pietersen followed suit over what he believes is a “stupid decision”. He added: “Absolute DISGRACE that Trent Bridge have stopped our very vocal ’12th man’ @billbarmytrump from playing at 1st Ashes Test! This entry was posted in The Trumpet o-iii<O and tagged ban, banned, billy, cooper, cricket, england, one match, the trumpet, Trumpet. Bookmark the permalink.